A nation filled with endless natural beauty, vast history and hidden streets begging to be discovered, Scotland is hard to disappoint. This morning we depart Edinburgh and head North crossing the Firth of Forth to visit the famous town of St Andrews. 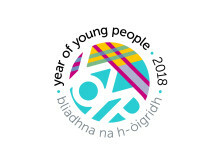 We’ll see the University where a young Prince William and Kate Middleton first met, here you will have free time to stroll around the compact city and see the golf course before we continue to Loch Muick in Ballater – the picnic site of Queen Victoria and somewhere where our Royals still frequent. In the evening, we sit down for dinner where you will enjoy a traditional bagpipe performance before retiring for the evening. Today get ready for an example of stunning architecture and jaw-dropping scenic views. Our first visit is Balmoral Castle*, the summer residence of the Queen Elizabeth II herself; at the nearby village we visit Crathie Church and its intriguing graveyard, the Royals still attend services here when in residence at Balmoral. Later in the day, we continue to Braemar Castle for more breath-taking beauty. In the afternoon, we take a walk around the site of the traditional Highland Games and later in the afternoon we make our way to Lochnagar Distillery, where you can sample a wee dram of whisky if you wish before enjoying an evening at leisure. 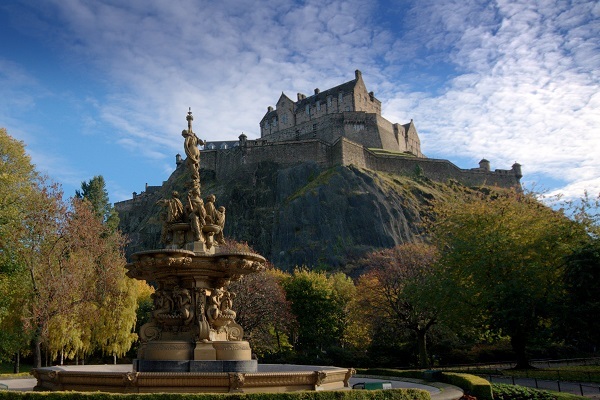 Today, after a hearty full Scottish breakfast, we return to Edinburgh for a tour of Edinburgh Castle home to the Scottish Crown Jewels, the Stone of Destiny and St Margaret's Chapel before enjoying a stroll along the famous Royal Mile. In the afternoon, we head to the Royal Yacht Britannia in Leith docks – this elegant boat was used by the Royal family until it was de-commissioned in 1997; discover what life was like on board Her Majesty’s floating Royal residence and trace the footsteps of world leaders such as Sir Winston Churchill and Nelson Mandela. Later we proceed to our hotel where we will enjoy an evening meal and bagpipe performance as a group. Today, we turn our attention away from the lovely Edinburgh, as we make the short trip to Rosslyn Chapel an utterly unique historic church shrouded in myth and legend – you may recognise it from its feature role in the film The Da Vinci Code. Later we head south through the rolling hills of the Scottish Borders and the far North of England including the rugged landscapes of Northumberland and North Yorkshire; there’s plenty of time to enjoy a flexible itinerary with multiple potential stops after an included visit to the impressive Castle Howard. Finally, we arrive in York where you can enjoy time at your leisure before meeting by evening to dine together. Today, we begin with brief walking tour of the magnificent city of York; we’ll see city walls, the Shambles and the city’s undoubted highlight at the iconic York Minster. Thereafter, the day is yours to explore this gorgeous city. 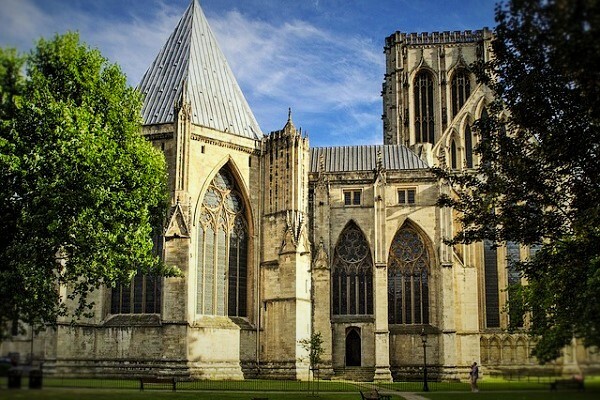 York is home to a wealth of historic and cultural sites from the cobbled Shambles, Britain’s first shopping street, to Viking heritage at the Jorvik Center. 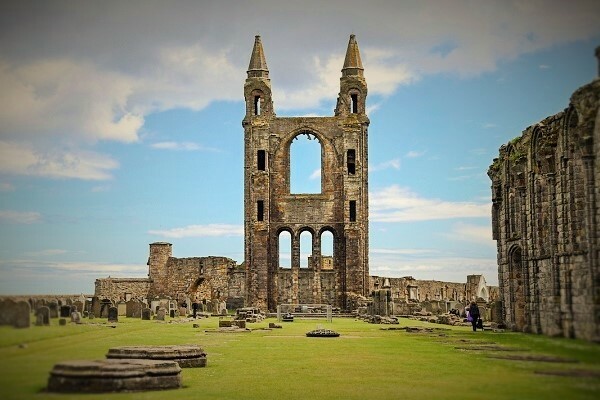 Perhaps take a stroll along the remaining medieval city walls, gates and towers or visit the National Railway Museum, current home of the Flying Scotsman, or enjoy a traditional afternoon tea at the famous “Betty’s Tea Room”. Our first stop today is one for the literary buffs with a visit to Stratford-Upon-Avon; a picturesque, medieval town of Tudor timberwork buildings, open greens and boats bobbing on the river Avon and a wealth of heritage sites dedicated to the town’s most famous resident William Shakespeare. 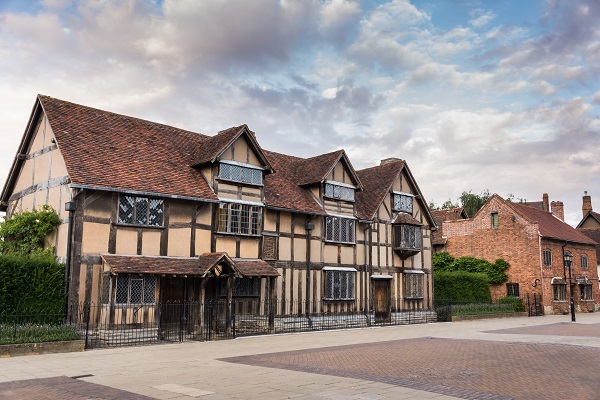 Stratford-upon-Avon is the birthplace of the famous playwright and you can visit places including Shakespeare's Birthplace and Anne Hathaway's Cottage. Later we depart this charming town passing through the Cotswolds countryside and some of its villages such as Shipston-on-Stour, before arriving at the hotel to indulge in dinner in a local restaurant. 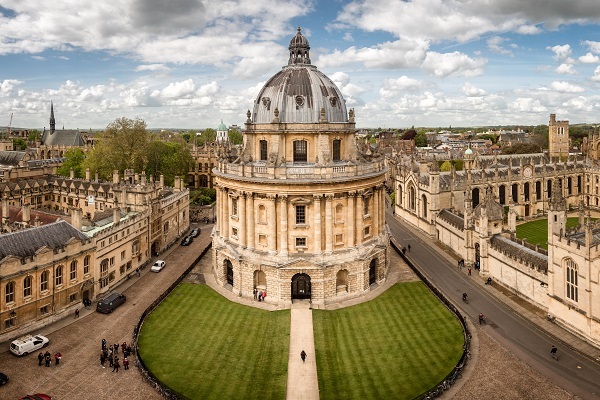 With your eyes set on the South East, we head for the historic university city of Oxford. In this ancient town you can soak up the unique academic ambience as we explore the lawns, quads and spires of renowned Oxford University which once inspired the likes of Tolkien and Oscar Wilde. Enjoy a tour of the surrounding colleges where members of the Royal family studied before we are head for the fantastic capital of London home to a wealth of Royal History. A trip to England wouldn’t be complete without a day sightseeing in the magnificent capital city of London. We’ll take in a wealth of Royal Palaces and locations with connections to England’s famous monarchy; we start at the gates of Buckingham Palace, before passing by St. James’s Palace, Clarence House, the Banqueting House and more. Then, take a tour of Kensington Palace and visit the Princess Diana Memorial Fountain and Albert memorial. In the evening, we meet for our farewell dinner at a local restaurant– occasionally frequented by royalty! Before we say goodbye, we have one final tour of two sites located to the West of this great city. First stop is the world’s largest inhabited castle at Windsor Castle, the Queen’s favoured residence. Later we explore the grandiose Hampton Court Palace, which has historic ties dating back to King Henry the VIII. En route back to London, we pass by Eton College and say farewell in the afternoon. Your tour ends in central London this evening – ask if you require onward rail travel to other destinations throughout Britain or transport back to your airport with a final night accommodation. See Balmoral Castle, the summer residence of the Queen in the Highlands of Scotland. Visit the Royal Palaces of London including Kensington Palace, the home of Queen Victoria & Diana, Princess of Wales. Visit the Royal Yacht Britannia, the former royal yacht of the British monarch. Pre or post tour hotel accommodation in central Edinburgh and/or London. Rail transport to Edinburgh/London before and/or after your tour and accommodation in central London or at London Airports. Hotel accommodation in Edinburgh/London to extend your trip and enjoy these fantastic capital cities. This tour starts in central Edinburgh at 8.30am on the Start Day and finish in central London at around 5.30pm (approx) on the End Day. 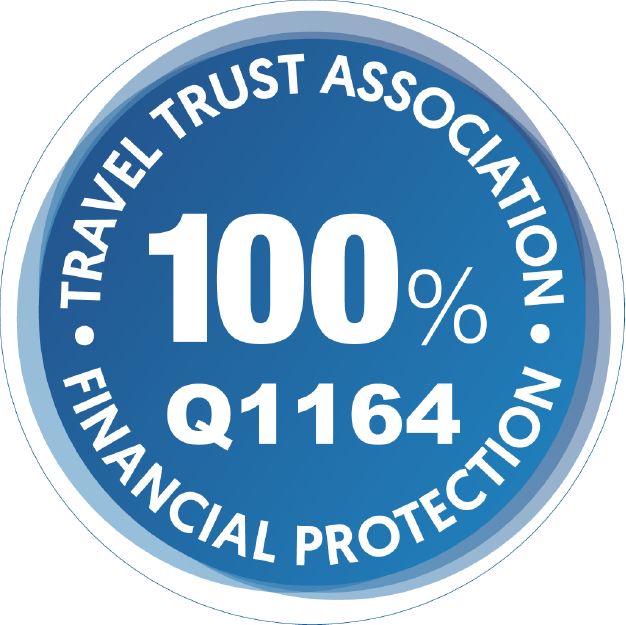 Please let us know if you require pre/post tour accommodation in either Edinburgh or London and we will be happy to provide a quotation.